Ahead of her performance, Dua Lipa posed on the red carpet at the Microsoft Theater for the 2018 American Music awards in LA. 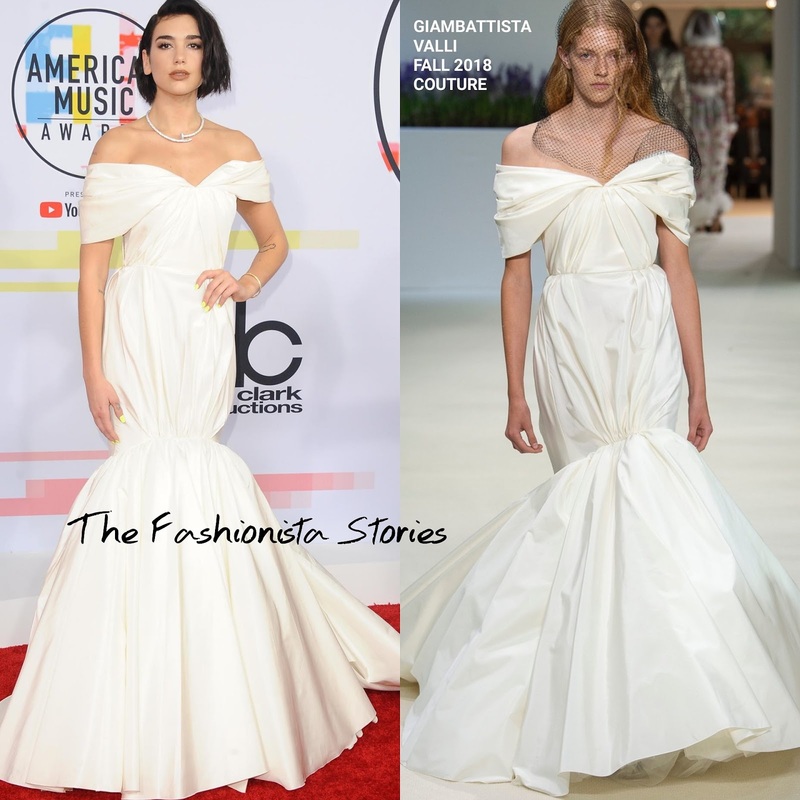 It seems as if whenever Dua wants to make a grabd entrance, she turns to GIAMBATTISTA VALLI and this time was no different. She wore a FALL 2018 COUTURE white off-the-shoulder, pleated mermaid gown. Adding a touch of sparkle to her look, she accessorized with a diamond choker. Smokeys eyes and a side parted shorted bob finished up her lool.